Flowing rhythm is one of the five types of visual rhythm. It occurs when curvy positive and negative shapes are repeated and when wavy lines are repeated. 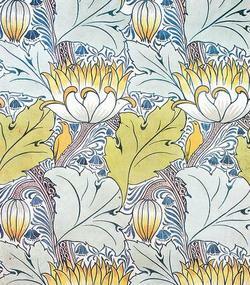 Examples of flowing rhythm are found on many wallpapers that contain flowers, leaves and stems.